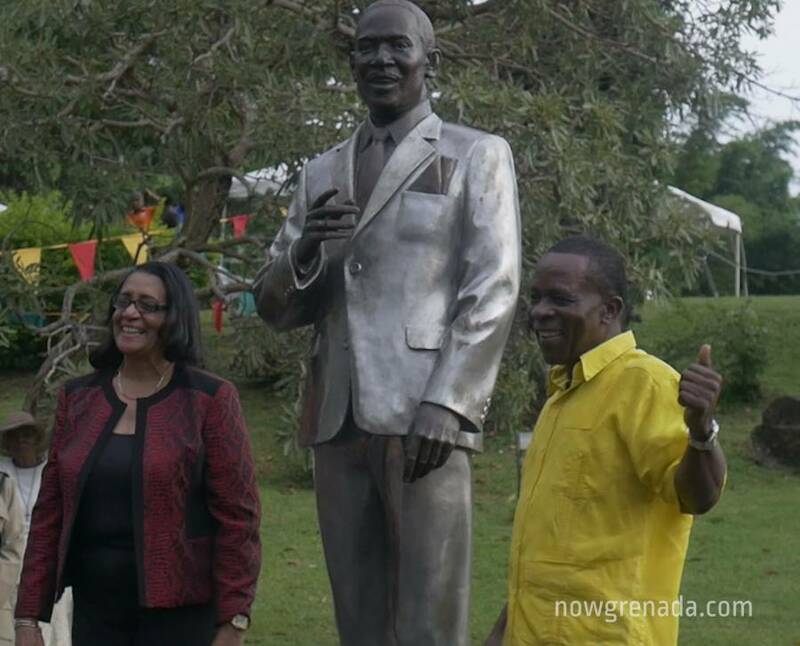 Friday, 29 September 2017 marked the unveiling of a full-figure statue at the Botanical Gardens, of Sir Eric Matthew Gairy, Grenada’s Father of Independence. Hon Clarice Modeste–Curwen, Minister for Tourism, Civil Aviation and Culture addressed the audience and praised the initiative, which was the brainchild of former Senator Brenda Hood. 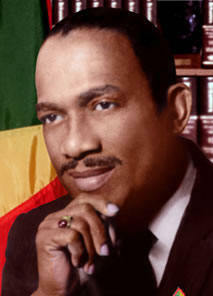 Sir Eric Matthew Gairy (18 February 1922 – 23 August 1997) was the first Prime Minister of Grenada, serving from the country’s independence in 1974 until his overthrow in a coup by Maurice Bishop in 1979. Alexis Gairy, son of Sir Eric, was present at the ceremony. He spoke briefly of his father’s great love for Grenada and Grenadians. “If you look at my father through the lens of his soul, there’s a different feeling – a different engagement with Eric Gairy…” He said he admired his father’s passion for Grenada. She went on to list a few of Gairy’s achievements throughout his political journey, which included the building of secondary and primary schools, housing schemes, round-a-bouts, water parade on the Carenage, opening of the Cadrona Home for the Aged and Expo ’69. “Sir Eric Gairy cannot be forgotten,” she concluded. Shortly before the unveiling of the statue by Governor General HE Dame Cecile La Grenade, the artist Maria McClafferty, gave a synopsis of her experience of creating the life-like statue. McClafferty has been an artiste for many years of her life, and, according to her, creating this statue was one of her greatest challenges. According to her, the goal was to create an interactive statue, because Sir Eric was ‘such a people’s person’ during his lifetime.